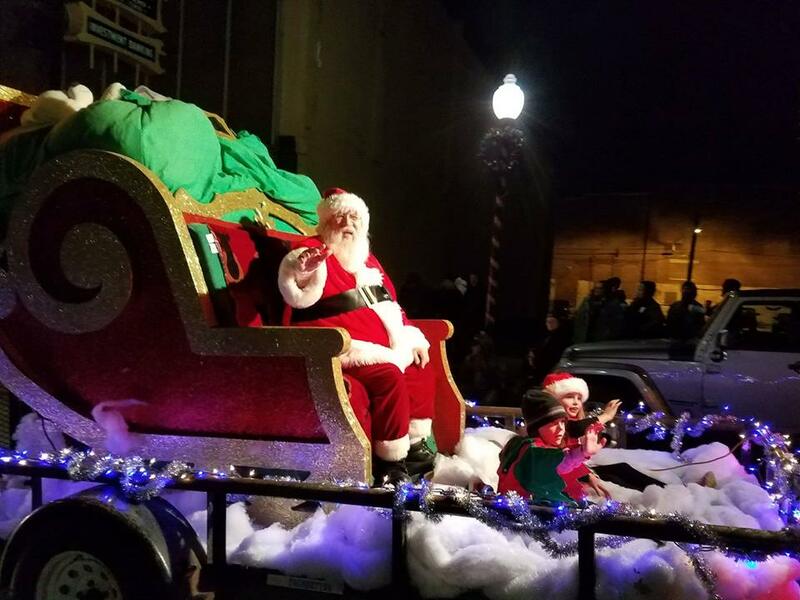 2018 Night Of Lights Parade | Downtown Danville, Inc. This year the Night of Lights Parade will be held on Friday, December 7, 2018 starting at 6:30 pm with holiday entertainment from 5:00 to 6:30 pm throughout the downtown. Fischer Theater (VHF), Downtown Danville, Inc. and the City of Danville invite you to participate in this community holiday celebration. Parade entries may include floats, bands, walking entries and vehicles. We highly encourage you to incorporate lots of lights into your entry so everyone can see you! Floats will be judged with a focus on creativity, use of lights, use of music and connection to this year's theme with trophies awarded for the Mayor's Choice Award, the Downtown's Choice Award, the Fischer Theater Award and the Best Overall Use of Theme. This year, there will be no entry fee for school groups and not-for-profits. The fee for business entries will be $25. Sponsorship opportunities are available. Contact us for more information. Pre-parade entertainment will be offered in Kresge Park, Temple Plaza and at the reviewing stand adjacent to the Fischer Theater from 5:00 to 6:30 pm. If your organization or group would like to perform, please complete the form below. Thirty-minute time slots are available in each venue for groups of all ages to perform vocal or instrumental holiday music, dance routines, excerpts from plays and more. Downtown storefronts will be decorated for the holiday season. Pick up entry forms at downtown locations and vote for your favorite. To register your parade entry or your pre-parade entertainment, submit the form below. DO YOU WANT TO BE JUDGED? WILL YOU BE PLAYING MUSIC? Please give us some information about your business, organization or yourself. This information will be used for the master of ceremonies narrative as your entry passes by the review stand.